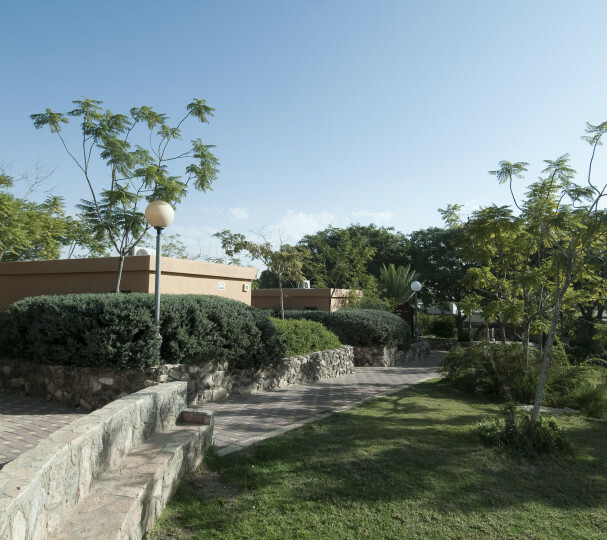 Located in one of the most spectacular Israeli landscapes, this guesthouse overlooking the Ramon crater has a unique ambience. 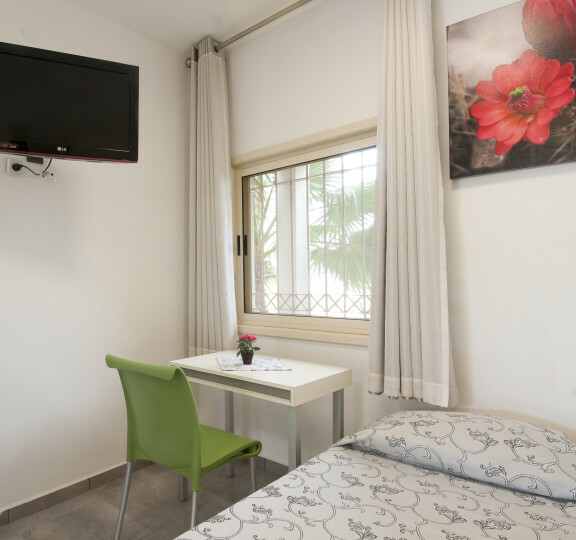 The guest house is located in one of the most spectacular Israeli landscapes, at the northern edge of the Ramon Crater. 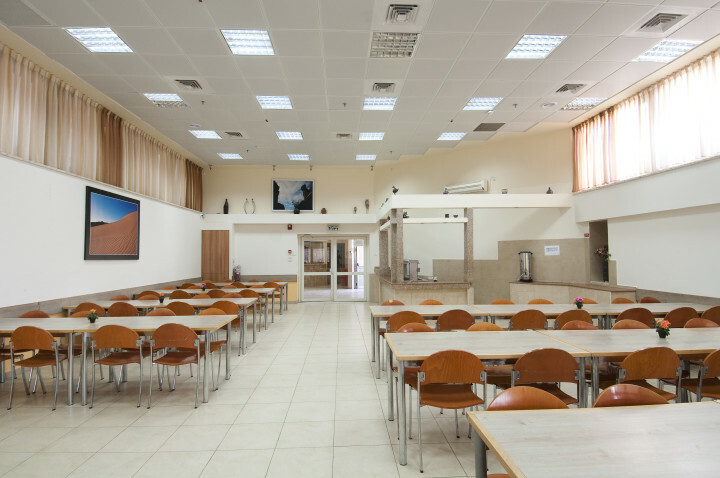 Mitzpe Ramon has 45 rooms with air conditioning, a shower and bathroom, TV, refrigerator and coffee-making facilities. 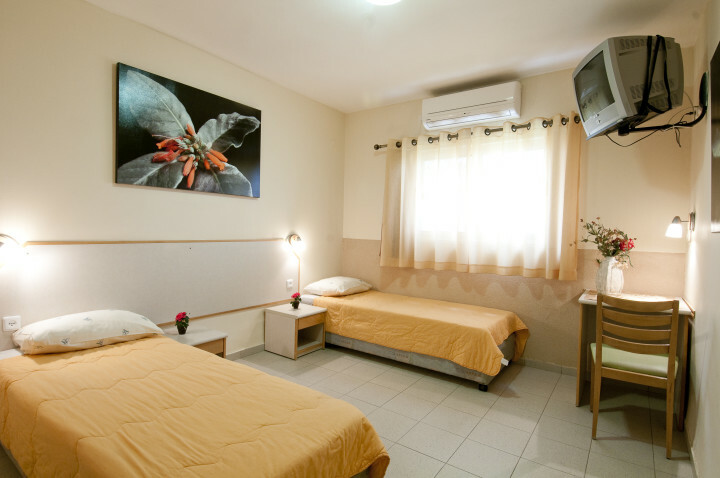 The hostel also has a hall with 150 seats and two classrooms with audio-visual equipment. 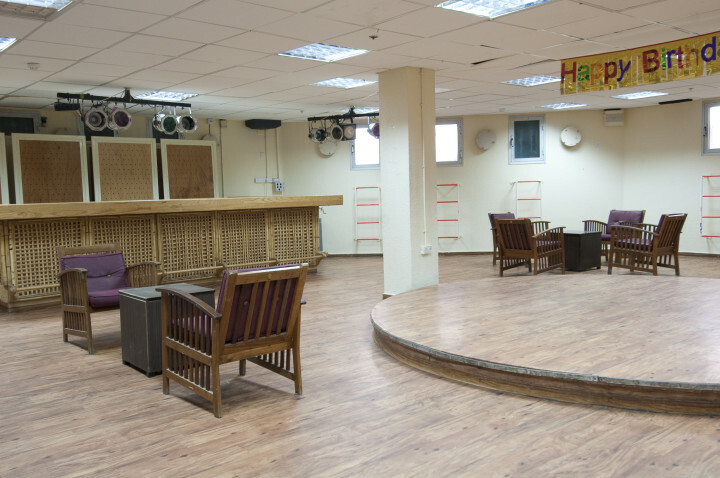 The hall and dining room can be used for parties and special family/organisation get-togethers. Free Internet access (Wi-Fi) is available. 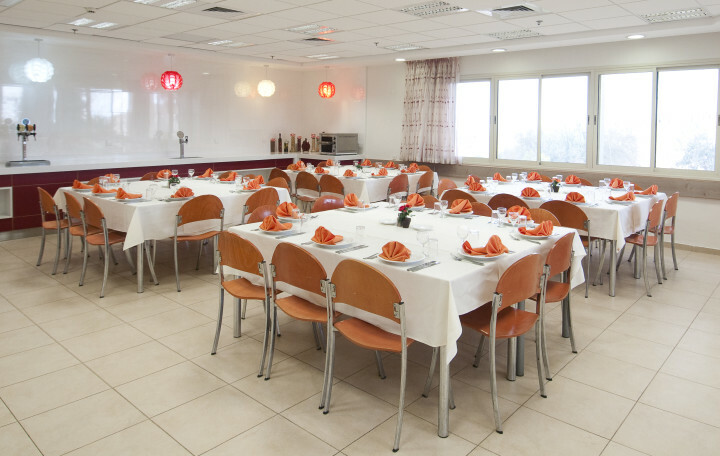 There are also two dining rooms, seating 130 and 100 respectively. A daily healthy breakfast is included in the price of the room. Additional meals (including packaged meals) should be ordered in advance. Food is Kosher. 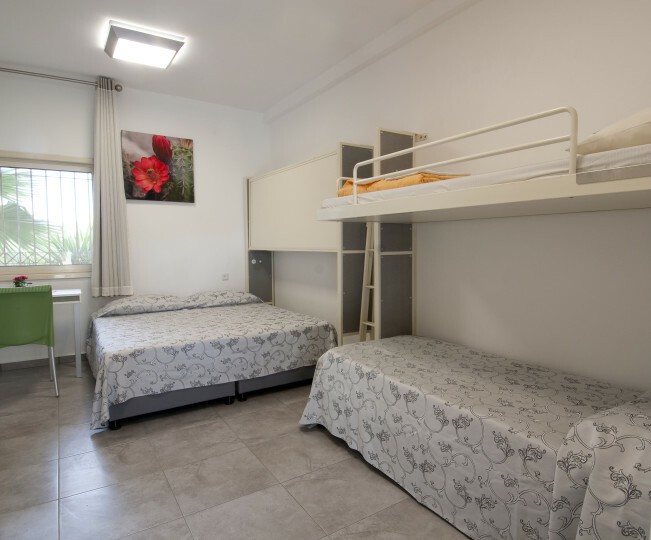 very nice hostel super clean and friendly .great lady in reception and very helpfull.she sorted all my botched up booking.the dining room staff too were very good and obliging.excellent breakfast.many thanks .brian. My only complaint is it was difficult to get the car through the gate. We always had to go up to the front desk and let them know we were trying to leave or come in. Perhaps develop a better system for this. 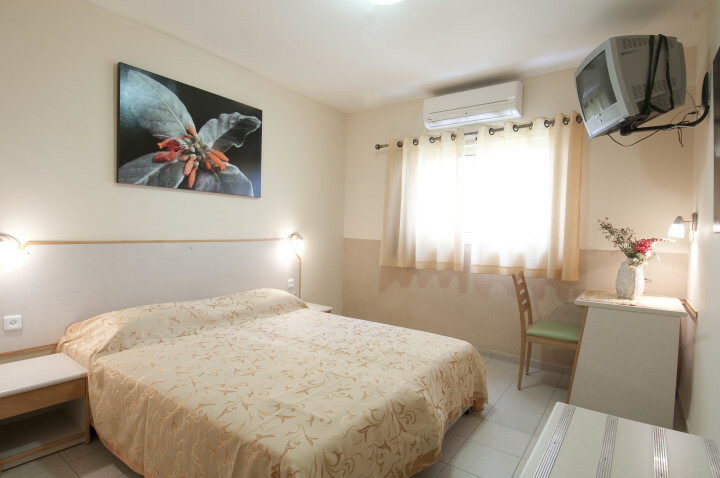 Otherwise, the room was clean and spacious and the hostel was in a good location to explore the region. Egged bus line 060 from the Be'er Sheva Central Bus Station.